Why are the screws angled into the deep tuttle? 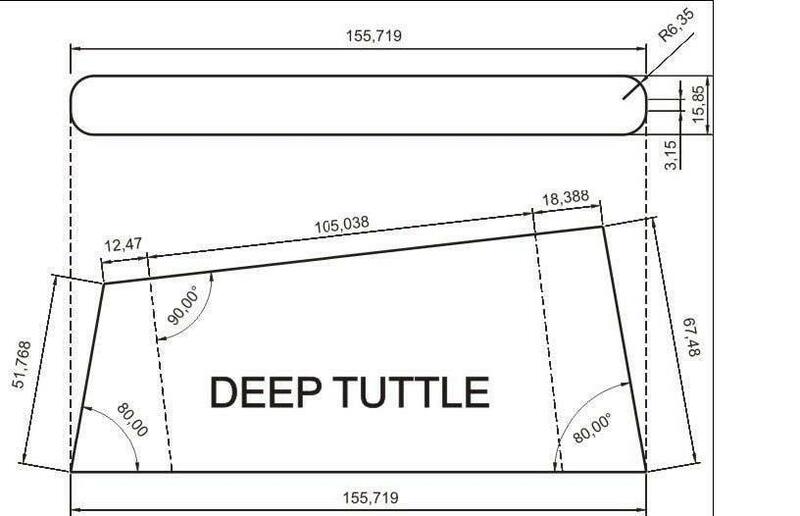 What is the reasoning that the deep tuttle has screws going into the tuttle at a 6.5 deg angle? Why not either make the top flat or just make the tuttle so that the screws come into the barrel nuts straight down? Re: Why are the screws angled into the deep tuttle? The Tuttle standard was originally for windsurfer fins and the angle of the top was to accommodate the typical slope on the back of windsurfer boards. All Tuttle hydrofoils have small threaded barrel nuts (press fitted in) which can be rotated. In practice these can be rotated enough so that the screws work on flat boards (and are perpendicular to the base of the board).